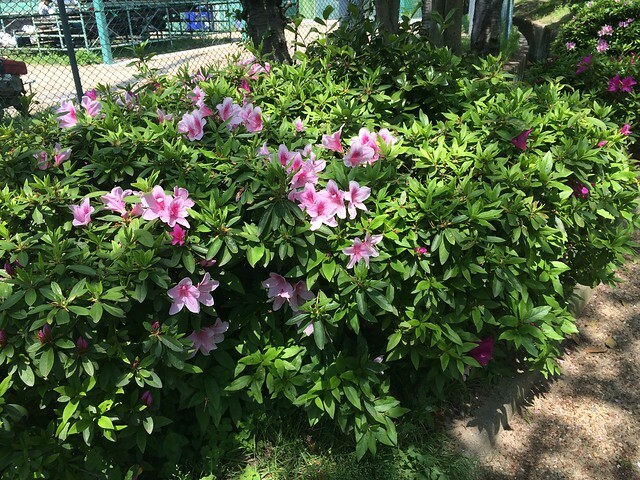 It is the peak season for azaleas here in Osaka. The city is full of them and they can be seen in parks and gardens throughout the city. 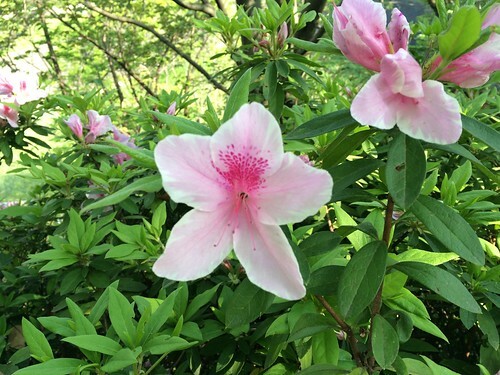 Azaleas are a group of flowering shrubs in the Rhododendron genus and have been cultivated for hundreds of year around the world. There are over 10,000 different varieties which show a history of horticulture. The Japanese call azaleas tsutsuji (つつうじ) – Hurray, my first try at the Hiragana script on my keyboard. I am working through Tuttle Publisher’s book, Hiragana and Katakana for beginners. They use strong images to form mnenomic devices to help one remember the symbol and corresponding sound. It is surprisingly easy to read once you go through the book. 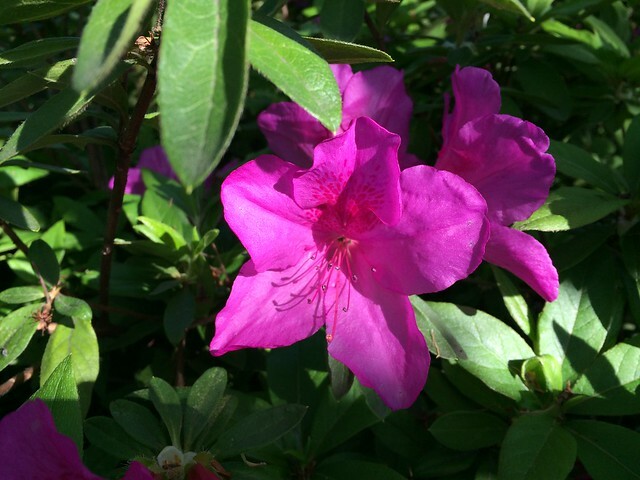 I never thought of azaleas when coming to Osaka. I know them from the American south, where there are azalea festivals and they are always mentioned in the Master’s golf tournament. It makes sense they are popular in Osaka as it is approximately the same latitude as Atlanta, Georgia and Columbia, South Carolina.